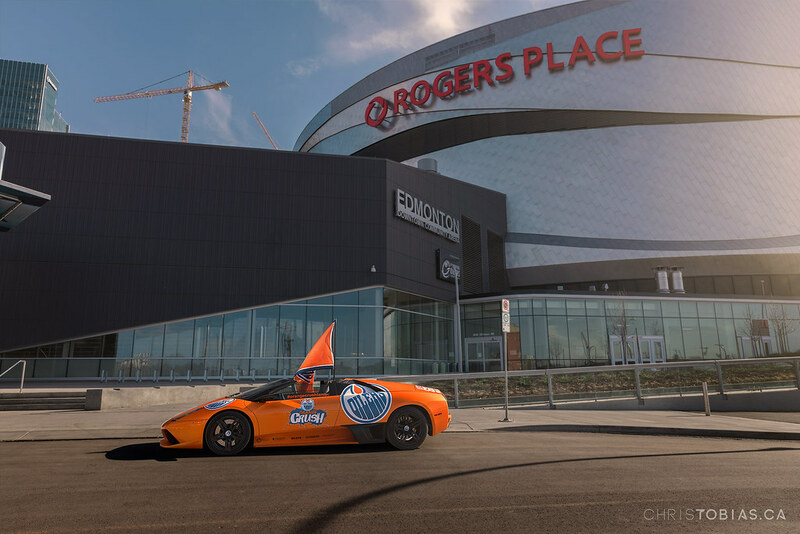 NHL playoff hockey returned to Edmonton for the first time in 11 years, and with that, “Orange Crush” fever took hold of the city. 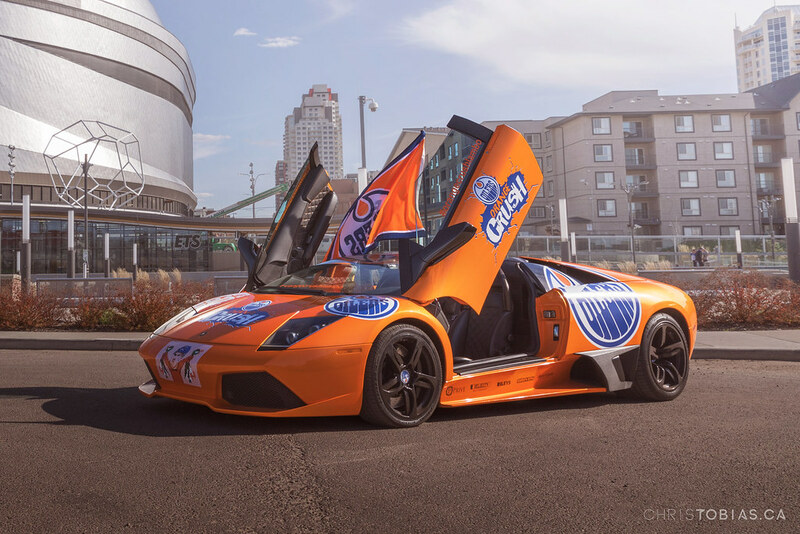 Driving through the city you’d see the Oilers flags proudly mounted on car windows, home made drilling rigs constructed on the back of pick up trucks, and even the rare exotic vehicle wrapped in Oiler-themed graphics. 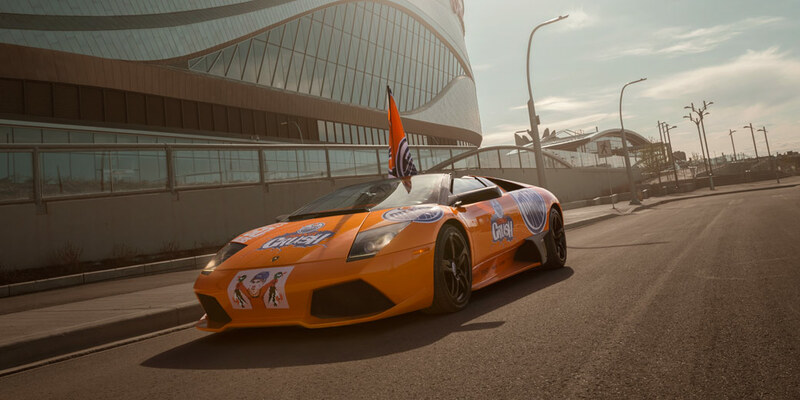 One of those head-turning exotics was the #OrangeCrushLambo by Avant Garde Motorsports. 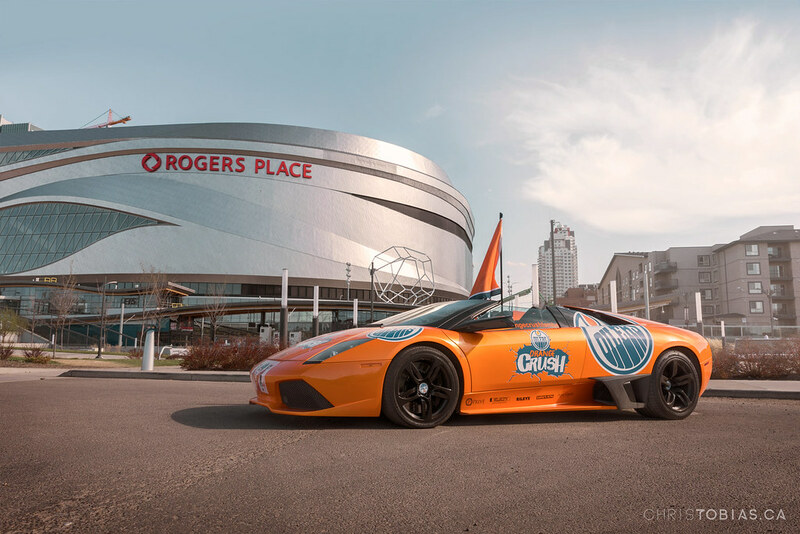 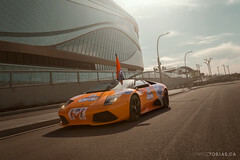 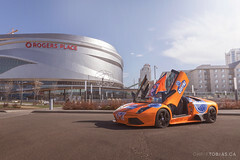 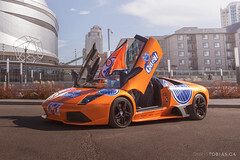 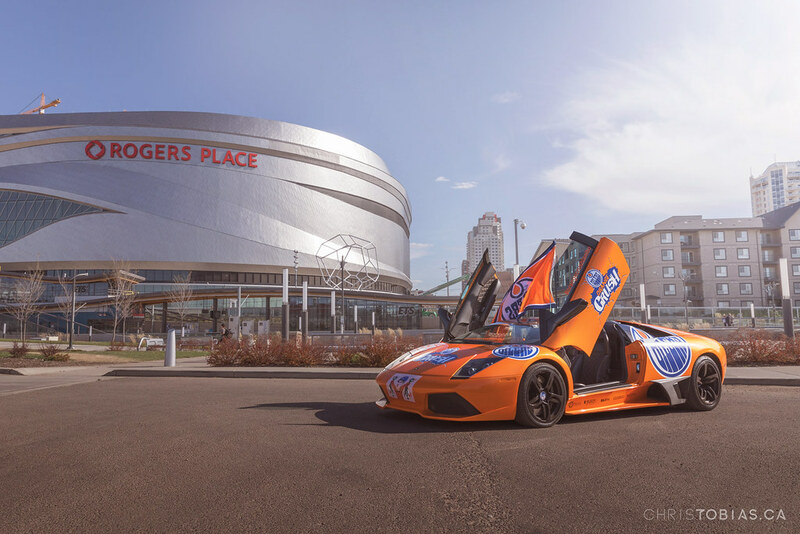 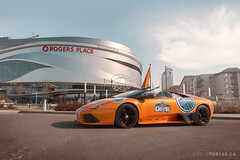 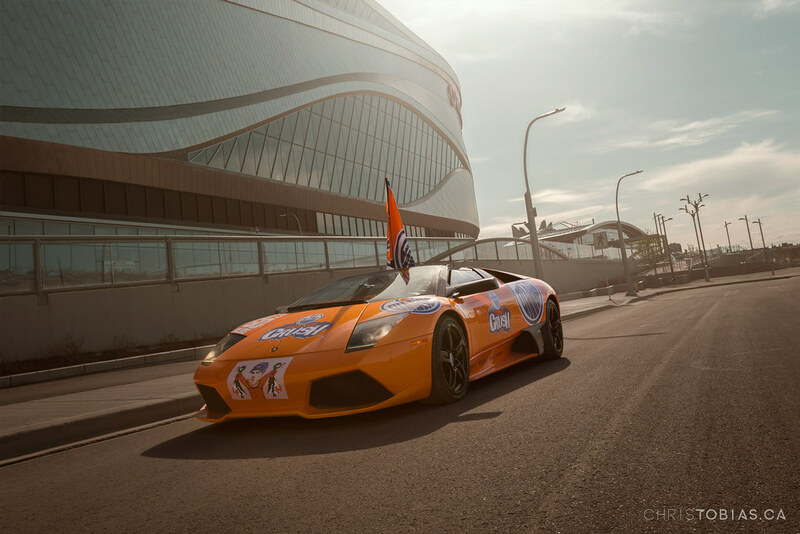 The orange Lamborghini Murciélago LP640 Roadster was covered with Oilers logos all around, with a Duck-Hunting Connor Mcdavid graphic up front.